The Russian-based M-1 Challenge series returns with its 64th effort this weekend. The card is one of the stronger offerings in some time from the promotion, especially when it comes to star names. The co-headliner of the evening pits former Bellator heavyweight champion Alexander Volkov against up-and-comer Denis Smoldarev for the M-1 heavyweight strap. Meanwhile, the real spotlight is on Alexander Shlemenko. 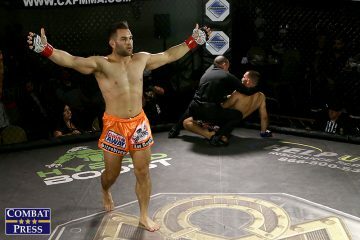 The disgraced former Bellator middleweight kingpin might be serving out a suspension in the United States for a failed drug test, but he’s set to compete in the semifinals of the M-1 middleweight grand prix against fellow Bellator alum Vyacheslav Vasilevsky. 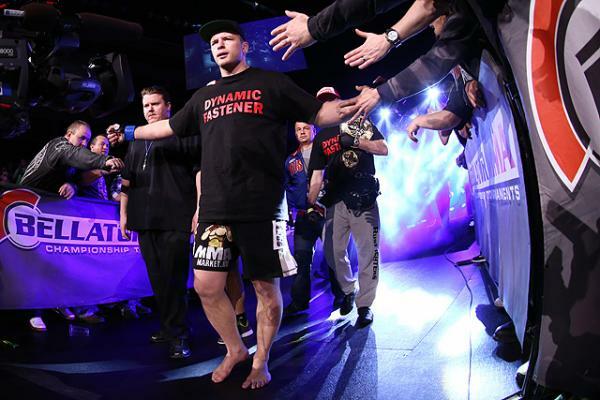 Shlemenko, a 60-fight veteran, has been in the middle of turmoil for a positive result for oxandrolone and oxandrolone metabolites and an elevated testosterone-to-epitestosterone (T/E) ratio of 50-1 following his knockout of Melvin Manhoef at Bellator 133 a year ago. The failed test led to a three-year suspension and a fine for Shlemenko, who went on to sue the California State Athletic Commission over the incident. 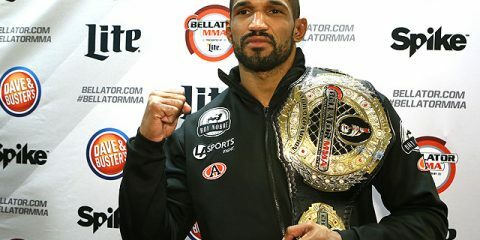 The CSAC says it won’t pursue any action against the former Bellator champ for fighting in Russia, as long as he continues to compete for M-1 Global and does not fight under the Bellator banner. The drug test was the latest blemish in Shlemenko’s recent career after a loss to Tito Ortiz at light heavyweight and a title loss to Brandon Halsey in his very next outing. Shlemenko seemed to be righting the ship after scoring a victory over Yasubey Enomoto on Russian shores and then posting the knockout of Manhoef. Now, the former Bellator champ will seek to renew the momentum in M-1’s middleweight grand prix, where he meets Vasilevsky. 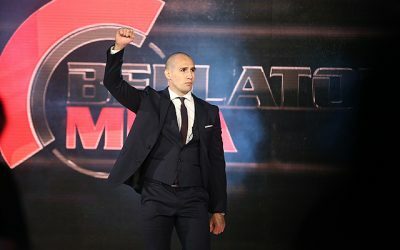 Vasilevsky entered Bellator as a 16-1 middleweight prospect who had already notched several victories against notable names. He entered the Bellator middleweight tournament bracket in 2012 and won his quarterfinal bout over Victor O’Donnell. He wasn’t so fortunate against UFC veteran Maiquel Falcão in the semifinals. Falcão edged Vasilevsky on the scorecards and sent the Russian athlete back to the motherland, where he has remained ever since the end of his brief Bellator stint. 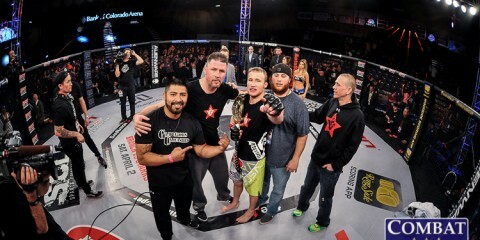 “Slava” has compiled a 10-1 record over his 11 post-Bellator outings. Along the way, he avenged the loss to Falcão with a 37-second knockout of the Brazilian. He’s also played hot potato with the M-1 middleweight crown, first claiming it with a fourth-round finish of Ramazan Emeev and then relinquishing it back to Emeev in a first-round submission loss. 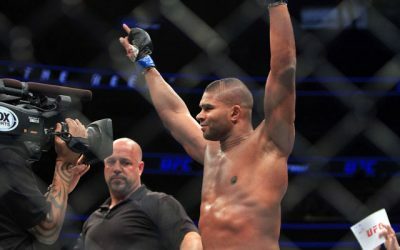 The 27-year-old is a very balanced fighter who has scored 11 victories via strikes and stopped eight opponents by way of submission. These are two very high-profile Russian middleweights. Shlemenko, a striker who loves to utilize spinning attacks, might be more well known on American shores, but Vasilevsky is a former middleweight and light heavyweight champion under the M-1 banner and a five-time combat sambo world champ. These men aren’t always at their best on the mat, but they are capable of finishing fights wherever the action takes them. Shlemenko’s recent struggles are troublesome, but the Russian had no business competing at light heavyweight and still seemed to be reeling from that loss when he was finished by Halsey. The scrutiny of the failed drug test hasn’t helped either, though Shlemenko maintains his innocence. It all adds up to trouble for the 31-year-old as he prepares to meet Vasilevsky. Vasilevsky struggled on U.S. shores, but he’s fared much better in his native land. He’s actually an inch shorter than Shlemenko, but he’s a longer fighter who will enjoy more than three inches in reach. 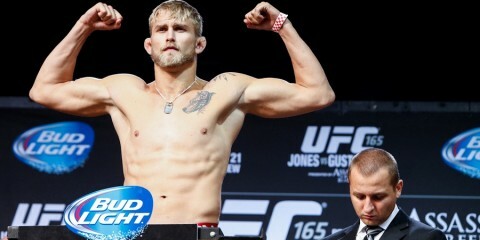 His history as a light heavyweight plays in his favor against Shlemenko, who has always been a smaller middleweight. If Vasilevsky uses his size properly, he could frustrate Shlemenko and work toward a decision victory. Shlemenko wasn’t exactly at his finest against Enomoto, which leaves only the erased victory over Manhoef as a highlight among his recent performances. This could be Vasilevsky’s chance to pounce and vault back into favor as a prospect. Vasilevsky, despite the losses to Falcão and Emeev, remains a promising young fighter. Shlemenko can always strike without warning and score a sudden spinning knockout on an opponent, but Vasilevsky’s odds of edging Shlemenko, or even finishing him, have probably never been better. The 35th event from Resurrection Fighting Alliance has a title fight at the top of a lineup that also features Thiago Alves. OK, let’s take a second here and rewind a bit. The title fight, for RFA’s lightweight strap, underwent some late changes and now features veteran Dave Castillo against prospect Thiago Moisés. 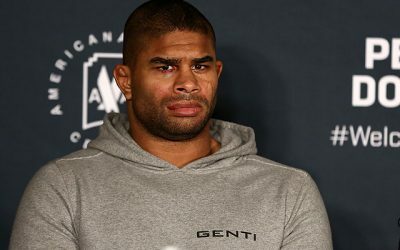 The co-headlining Alves is probably not the Thiago Alves you’re thinking about. These are still solid fights, but the RFA’s real gem is in its ability to feature young up-and-comers. While the welterweight clash between undefeateds James Nakashima and Brad Darrington is certainly an intriguing example of the RFA’s biggest strength, we’ll shine the spotlight on a different undefeated fighter in the infancy of his career: Curtis Blaydes. 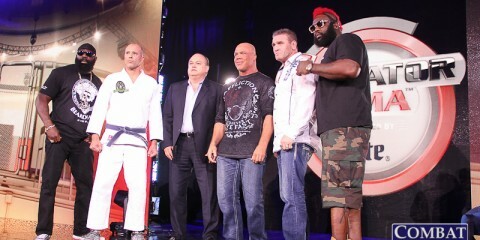 Blaydes, a heavyweight, fights in a division that is starving for fresh new talent. This weekend, he’ll seek to add to his resume against Luis Cortez. Blaydes, who stands 6-foot-4, is an intimidating figure. He’s a beast of a heavyweight who has ran through the competition with his fists flying. He defeated recent Bellator signee Lorenzo Hood in his 2014 pro debut via first-round submission due to strikes. His subsequent fights have ended via TKO within the first two rounds. Blaydes is a national junior college wrestling champion who has trained out of the Midwest Training Center, Strong Style Fight Team, Dutch Style MMA and UFC Gym Lombard. 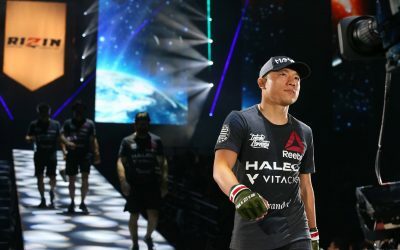 Along the way, he has trained with current UFC contender Stipe Miocic and reigning UFC heavyweight champion Fabricio Werdum as well. Cortez is a 29-year-old heavyweight based out of Idaho. He’ll give up four inches in height to Blaydes, but his resume makes him a great pairing for the prospect. Cortez has a middling 3-2 record, but all three of his victories and one of his defeats came via strikes. 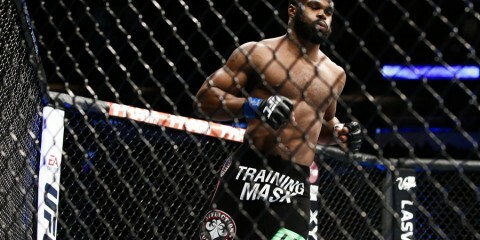 “The Hulk” lost his 2013 pro debut, but rebounded with two wins over Eric Iman. After suffering a title loss in his first fight of 2015, Cortez bounced back with a 23-second finish of Colton Vaughn. It would be a shocker if someone isn’t staring up at the lights when the dust settles in this heavyweight showdown. That someone is likely to be Cortez, who has already suffered one pro loss via strikes. 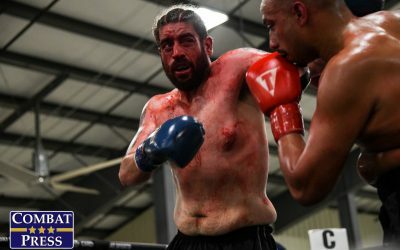 Blaydes has been perfect through 10 amateur outings and four pro bouts, so a loss to Cortez would be a major disappointment for the promising heavyweight. 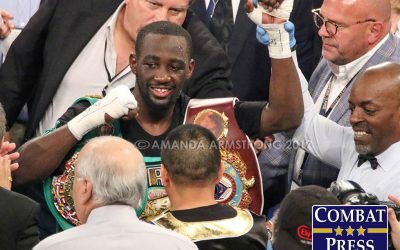 Expect a slugfest that ends with Blaydes knocking Cortez out in brutal fashion. 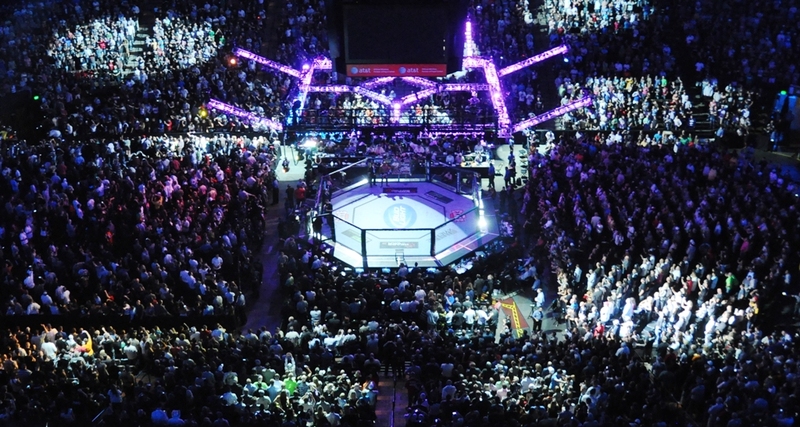 Aspera Fighting Championship is emerging as one of the stronger shows among Brazil’s crowded national circuit. 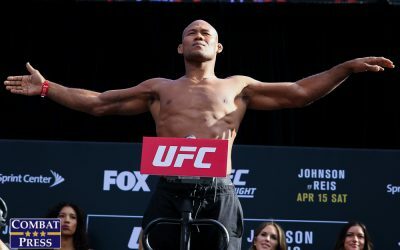 The league’s 32nd offering features several notable names, including featherweight headliners Rafael Silva and Francisco Cylderlan and the still undefeated Luis Rafael. Surprisingly low in the lineup, there are also two ladies worth watching: Taila Santos and Mariana Morais. 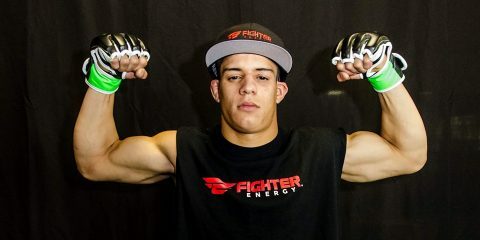 Morais, who is just 20 years old, has already flirted with success on the big stage after a stop in the Invicta cage. 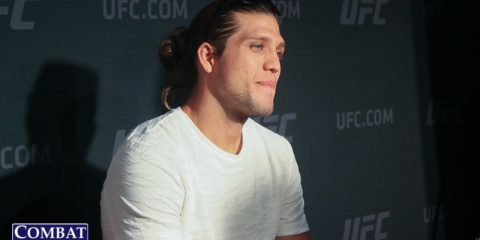 The youngster had the bad fortune of drawing surging veteran Roxanne Modafferi in her promotional debut. Needless to say, Morais did not fare well. The Parana Vale Tudo fighter was stifled for almost three full rounds before Modafferi finished her with strikes. Despite a Muay Thai background, Morais has relied more heavily on her grappling arsenal to get finishes in her fights. Santos, 22, is another young bantamweight coming out of Brazil. Unlike Morais, Santos is still undefeated through 13 fights. She has nine finishes via strikes and just two submission victories. Only three of her fights have gone beyond the first round. Santos went the distance in her 2013 pro debut, but has only seen the three-minute mark of the first round four times in her subsequent 12 outings. Five of her stoppages came in less than 90 seconds, and three of those checked in at less than a minute. Morais is a significant step up in competition for Santos, who has faced far too many low-level fighters. However, Morais didn’t have a great showing against Modafferi and now looks far more beatable than she looked a year ago. This fight could be a real treat featuring two very young fighters who could eventually enjoy long stays in the division’s top 10. Right now, however, it’s up to one of these women to prove that she is a legitimate threat in the present, not just the future. The edge goes to Santos, who has blazed through opponent after opponent with her fists. Morais wore down rather easily against Modafferi, albeit that was a fight pitting a 19-year-old against a resurgent veteran who has faced some of the world’s best over her long career. If Santos can make Morais struggle to deliver any offense, she can follow in Modafferi’s footsteps and defeat Morais.